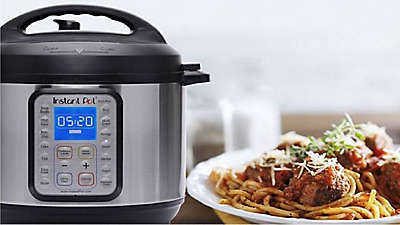 Come join us in-store for an Instant Pot Workshop! Learn how to cook 2 easy recipes. $10 per person to attend, pay in-store upon arrival. Each participant who attends will receive a $10 Bed Bath & Beyond gift card, special tote and 2 recipe cards, while supplies last. 4/25/19 7-8:30pm. Must RSVP and attend. Hurry! Space is limited. Shopping in Tribeca for smart storage solutions, attractive kitchenware, dorm bedding and modern home décor ideas? Get inspired, get the style you want and shop all the brands you love at the Bed Bath & Beyond® store near you; you’ll find it at the corner of Warren St. and Greenwich St., convenient to the Chambers St. subway station. 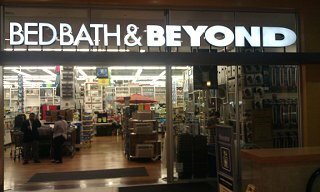 Get everything you need for your home at this Bed Bath & Beyond® store located at 270 Greenwich St, New York NY 10007; (212) 233-8450. Friendly and knowledgeable associates are ready to assist with your selections during store hours. Going to Pace University, The Kings College or another fine school in the city? Use the college checklist to get twin XL sheets, tailgating supplies, cleaning, laundry and storage solutions along with dorm essentials. Need the perfect hostess gift? This store has a great gift selection suitable for every occasion. Use the gift registry feature to create a birthday registry, housewarming registry, baby registry, anniversary registry, or custom occasion registry. Should you be planning a wedding or getting married, our experienced personal wedding consultants will be happy to help you create the perfect wedding registry while you select your gifts and china pattern.